Everything about the 2020 Ford Explorer is new. First of all, the platform. Then, engine lineup with a transmission. Furthermore, the infotainment system is heading into a new generation. 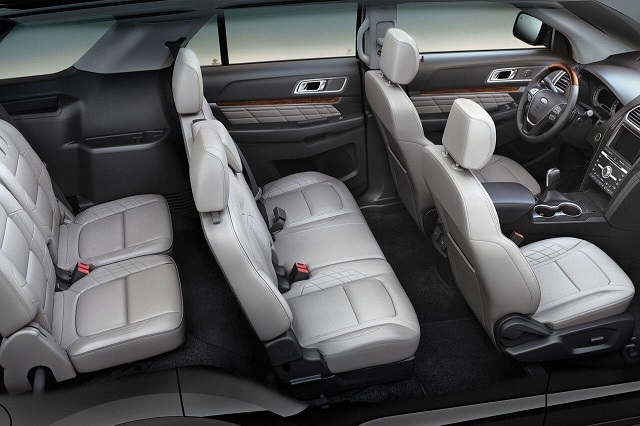 And finally, we will get the ST model of the mid-size crossover. We will stay tuned for any other updates since the Ford is unveiling info in pieces. So far we know that 2020 Explorer is coming. Well, the concept of the new vehicle is already available. Also, we can see it in the real world as the prototype. Testing mules are already spied, confirming the details coming from the official sources. Well, spy photos are not so generous, but these images still unveil some details about the 2020 Ford Explorer. They won’t show what is under the hood, but rumors are there to warm up the entire situation. The new platform for 2020 Ford Explorer is D6. It is going to replace the existing D4. The new concept extends the wheelbase. 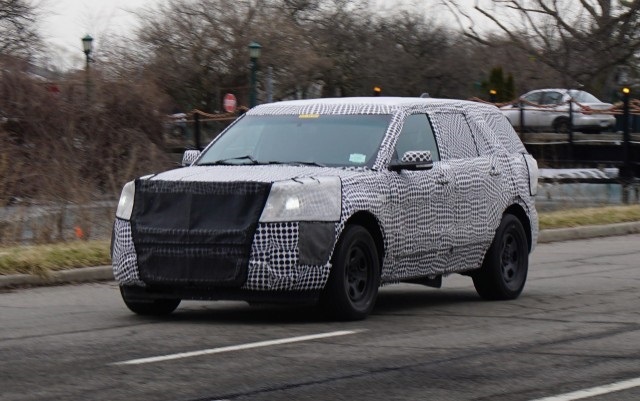 On the other hand, more lightweight materials in the body of 2020 Explorer will keep the easy handling. The new D6 platform is capable for rear- and front-wheel drive modes. However, the crossover is going to keep existing setups – front-wheel drive as default, and all-wheel drive as an optional mode. 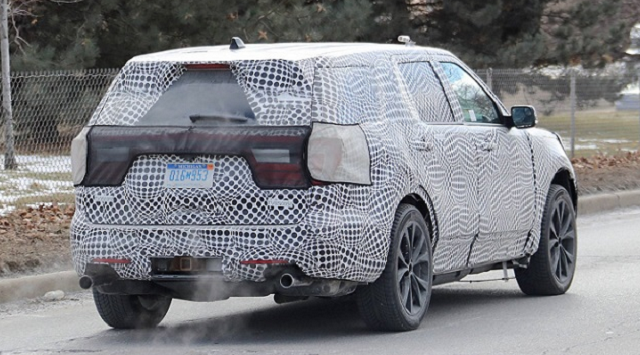 According to spy shots, the 2020 Ford Explorer will refresh the appearance of a mid-size crossover. First of all, the wheelbase is longer. But, that leads to a shorter hood. The front fascia will bring the most changes. There we will see totally different grille and bumper. At models we had a chance to spy, headlights are still the same as we can find on the current generation. Other parts are heavily covered with camouflage panels, so we can’t know what lays beneath. There will be total four engines for the 2020 Ford Explorer. The current model is using only three. The base unit, naturally-aspirated V6. A 3.5-liter unit can deliver 290 horses. Its alternative for the existing Explorer is a turbo-four. The smaller displacement comes with nearly the same outputs – 280 horses and 310 lb-ft of torque. On the other hand, fuel efficiency is much better, since the four-pot mill can offer 3 miles per gallon more. So, there are enough reasons to keep it as the base solution and dropping the V6. One of the newcomers for the 2020 Ford Explorer could be a 3.3-liter V6 we can find in Ford F-150. In the truck, the mill is capable to produce 290 hp and 265 lb-ft of torque. It is as good as the outcoming 3.5-liter engine. However, the new drivetrain has better fuel economy. 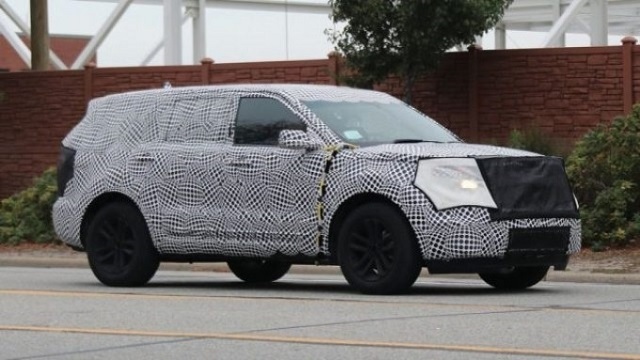 The 2020 Ford Explorer will keep a version of V6 engine it used on previous models. It is a 3.5-liter twin-turbo powertrain with 365 hp and 350 lb-ft of torque. This engine returns the same mileage as the dropped unit. Combined, buyers will get 19 mpg from 2020 Ford Explorer Sport and Platinum trim levels. However, the engine transfers power only to all wheels. While Expedition and Escape are getting a hybrid engine, the 2020 Ford Explorer and Edge will come with performance-oriented ST units. For the bigger one, we will see the new drivetrain. It is a 3.0-liter bi-turbo V-6 that produces over 400 ponies and 400 lb-ft of torque. That is enough for the vehicle carrying the ST badge. The current generation of the mid-size crossover is using the old six-speed gearbox. From 2020 Ford Explorer, the router will be a 10-speed automatic transmission. With smoother power distribution, and more lightweight materials coming with a new platform, the SUV will offer better mileage. The new 2020 Ford Explorer is not coming any time soon. The company presented the platform, spy shots are there, but engineers are still having a lot of work ahead of them. Experts believe the new generation of Explorer will come late in 2019.